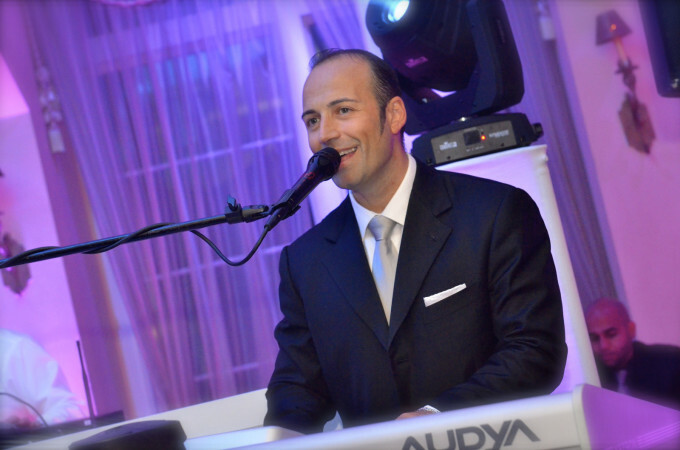 Bravura Entertainment is proud to introduce our newest bi-lingual vocalist, pianist, and wedding host, PAOLO! As we bid a farewell to the year 2013, we look back at our work in the past 12 months and we are proud of where the year took us. Our new identity was launched with a fresh brand and innovative site. Our 3000 square foot state-of-the-art studio was built to perfection and we had the pleasure of hosting 250 incredible New York weddings. 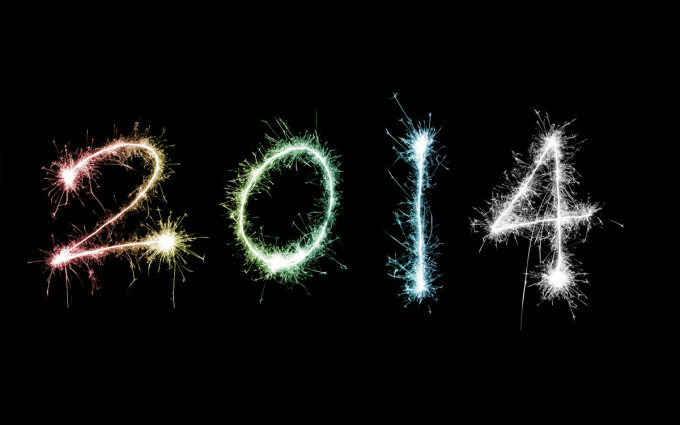 As we look ahead, 2014 will be all about ENERGY! It will be the year to celebrate life. We are excited to kick off the upcoming wedding season and we wish all of you a happy and healthy new year. Congratulations to all newly engaged couples. Creativity is important at Bravura because it propels our business from being an average entertainment company to being the innovative and trendy wedding specialist it is today. At our live showcases we are always tapping into our creativity and coming up with groundbreaking ideas as well as original ways to introduce our services to the NY Bride. 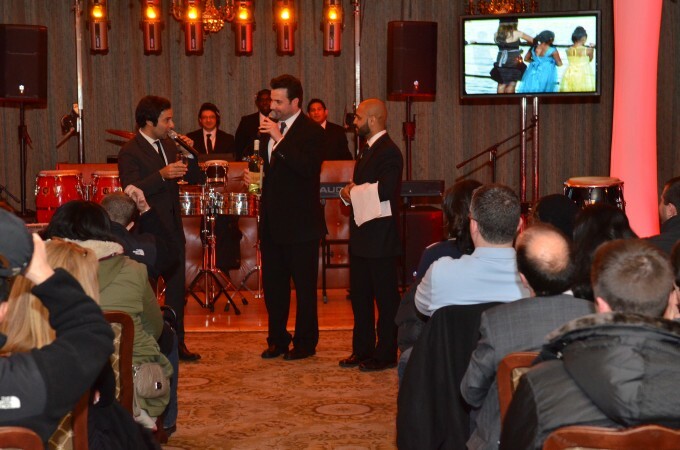 Our live showcase is the perfect blend of comedy, creativity, energy, and talent. Our team will wow you with flawless execution, instant impact, and total engagement. We invite all newly engaged couples to experience Bravura and help you make the right decision when it comes to your wedding entertainment. Please see the exclusive showcase section on this site for more details. It is with great pleasure to announce our newest affiliation, Harbor Club at Prime. Bravura is delighted to have teamed with the Bohlsen Restaurant Group as they prepare for the grand opening of Long Island’s finest waterfront venue. 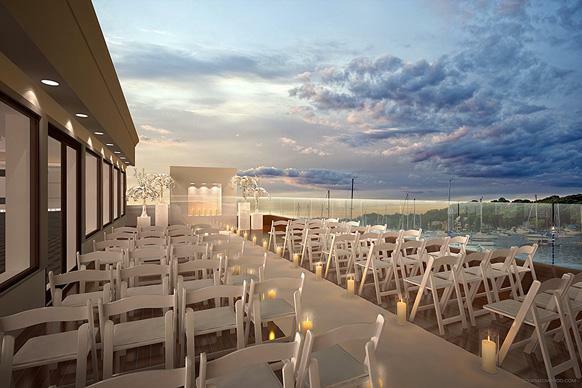 The Harbor Club at Prime is the perfect wedding location. Nestled on the shores of Huntington Harbor, the Harbor Club at Prime blends a contemporary, urban design with the timeless elegance and beauty of a waterfront venue. With stylish surroundings, extraordinary service, exemplary cuisine, and the finest in wedding entertainment, Harbor Club at Prime and Bravura Entertainment are sure to deliver an unparalleled event experience. Bravura Entertainment is known for their world music library and their ability to entertain in a multilingual fashion, but what really separates us from others is our extensive knowledge of ethnic wedding traditions. We love when a Bravura bride is having a traditional American wedding reception while celebrating their natural heritage by rediscovering age-old cultural traditions. With having the familiarity and knowledge of these ancient worldwide traditions, the Bravura entertainment team will assist you with introducing your culture to your family and friends. At our Chinese culture receptions, it is customary for the bride to wear a dress that is a vibrant red and that is embroidered with silver and gold thread. The color red is thought to bring good luck, so cloaking a bride in vestments of red is considered lucky. weddings, one of the most popular cultural trends is jumping the broom, which is a symbolic way to “jump” into marriage with both feet. Of course, Bravura Greek weddings are notoriously boisterous and fun. The “Circle Dance” and “Money Dance” both originate with the Greek culture. At the very beginning of our Russian receptions, before the Bride and Groom share their first dance together, Bread and Salt are offered to the newlyweds by both parents as a symbol of health, prosperity and long life. Our Jewish receptions are joyous celebrations with many traditional dances. A energetic, circle dance called the Hora is performed. The bride and groom will hold on to either end of a handkerchief and are lifted into the air on chairs. They are celebrated as the king and queen of the night. One of the most recognized songs and traditional dances at Bravura Italian receptions is the Tarantella. A festive circle dance where all guests are encouraged to join in and celebrate with the newlyweds. 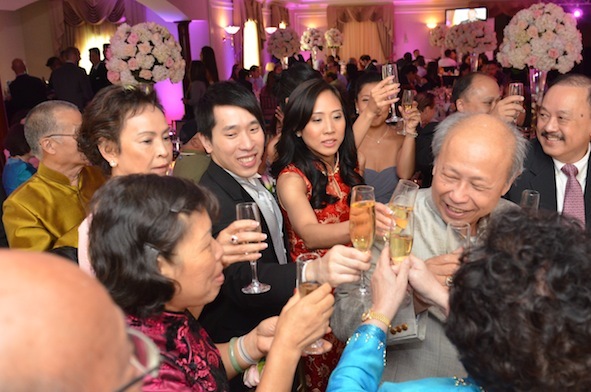 All ethnic wedding traditions are a joy to share with your loved ones. At Bravura, is our pleasure to be a part of this special occasion and celebrate with the most important people in your life! The best way to experience a wedding entertainment company is LIVE. You can only get so much from visiting an office or showroom. Prior to making a music decision, you need to be in Bravura’s Grand Showcase crowd to truly understand the euphoria that can wash over you when our DJs mix stimulating beats with perfection while our musicians wow you by performing your favorite tracks live. 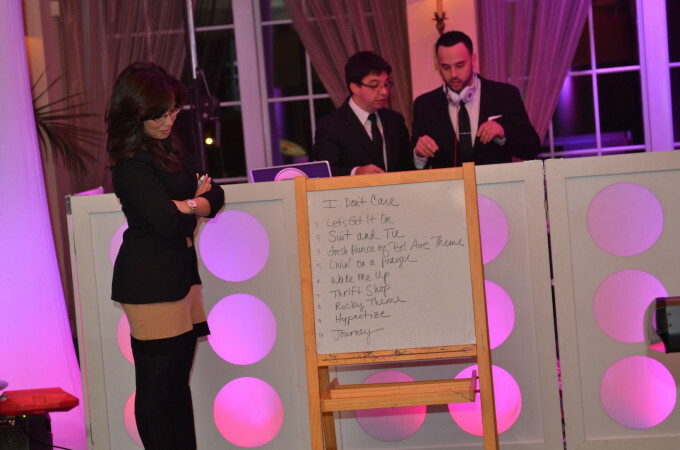 Our wedding-style emcees will keep you amused with their delightful charm and rat-pack humor. Our lighting and décor will spark exciting ideas for your venue and our company style will motivate you to celebrate and dance. For the most intimate live viewing, we invite you to experience Bravura’s Mini-Showcase that takes place in our studio lounge. This is a no-obligation opportunity to get up close and personal with our team and discuss your wedding plans in a relaxed atmosphere while enjoying fabulous entertainment. Visit our Exclusive Showcase Page and together we will celebrate your engagement and up-coming wedding with Bravura style. New Look, New Site, New Year! This January, Bravura Entertainment marks its 12th year as a New York wedding specialist and as part of the celebration, we are excited to launch our new identity. Our new company logo defines who we are as a company and will reflect the significant growth of Bravura Entertainment. Our re-brand will also include the launch of our new website. A project that owner, Tony Del Corvo is very excited for. The Bravura website will not only attract new business but also act as a great tool for finalizing the music and entertainment details. It will include over fifty video clips of our services, an up-to-date image gallery, and informative blog. But it doesn’t stop here! Bravura’s newly renovated 3000 square foot studio space, showroom, and lounge is now open! Located on Jericho Turnpike in Huntington Station (Long Island), our state-of-the-art studio is the perfect setting to enjoy the entire event planning process. Please feel free to visit our image gallery page and take a tour of our new Long Island home. On behalf of our entire entertainment team, Happy New Year & Happy Wedding Planning!